The little girl has been dead for 95 years. 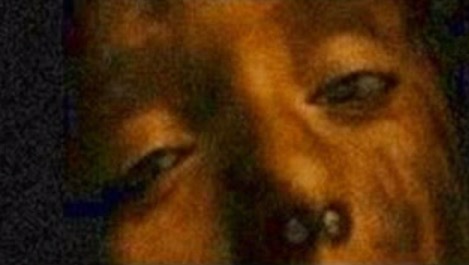 But then she opens her eyes! In the Sicilian city of Palermo there is a hundred-year-old cloister built by the Capuchin monks. 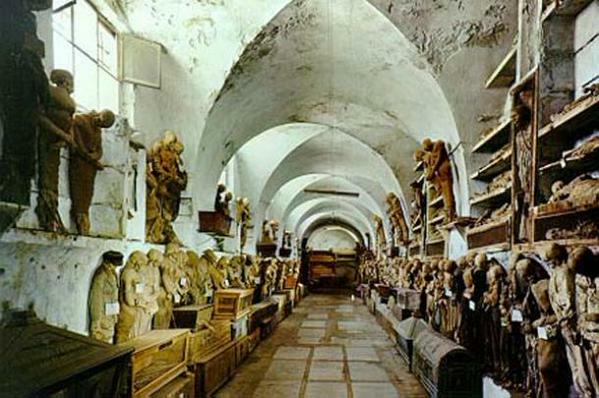 But the old establishment is actually famous for what’s underneath it: a crypt with over 2,000 mummies. Stored in a glass sarcophagus among all the skeletons is a very special girl that has found her final rest there. 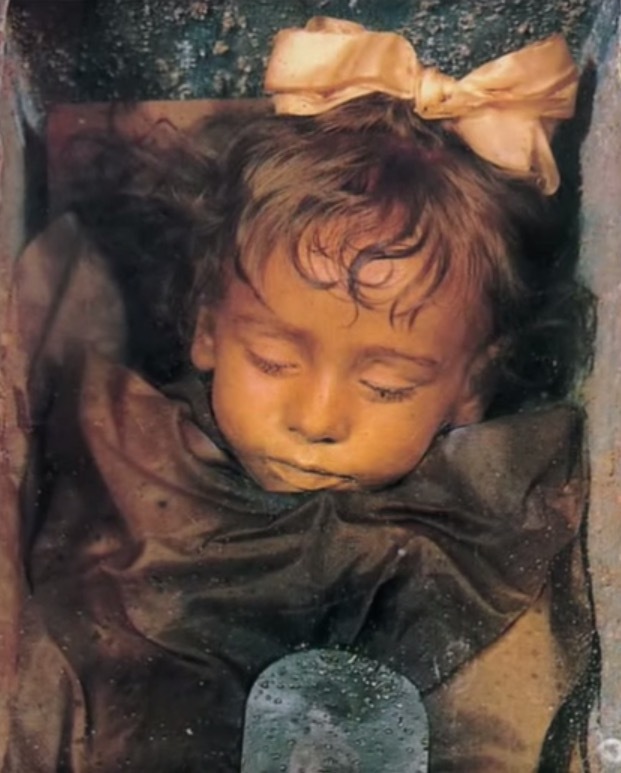 Rosalia Lombardo is just 2 years old as she dies from pneumonia in 1920. Her father, the Italian officer Mario Lombardo almost dies from grief after his little princess leaves this world. He wishes to keep her in memory as she left him: as a wonderful, peaceful little girl. 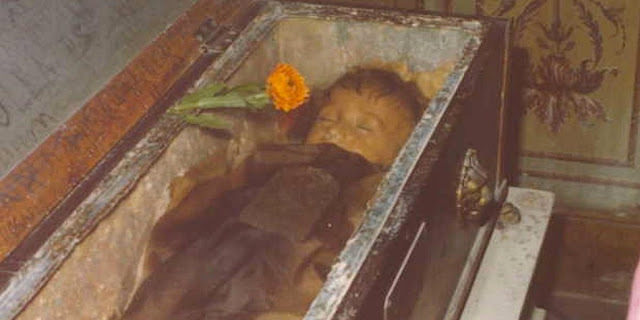 So he commissions the embalmer Alfredo Salafia to prepare his daughter for all eternity. He replaces the girl’s blood with formaldehyde and treats her body with alcohol and acid. The result of his work is simply astonishing. It looks as if the toddler, with the blonde locks, has simply dozed off peacefully and could wake up at any moment - even though she has been dead for almost 100 years! And she has a creepy secret that makes one doubt if the girl is really dead or not. 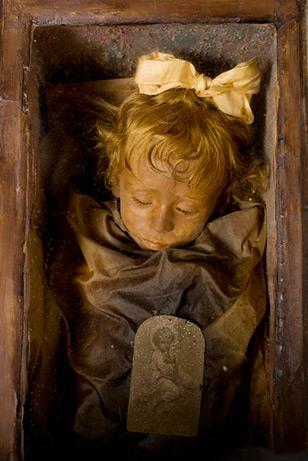 Rosalia Lombardo, the sleeping beauty from the crypt, is one of the best preserved mummies on Earth and has fascinated people from everywhere. The blonde-curled girl will most likely survive us all - and still look like the innocent 2-year-old she was when she died. When this mummy with the living eyes both astonished you and gave you the creeps, then share these special images!